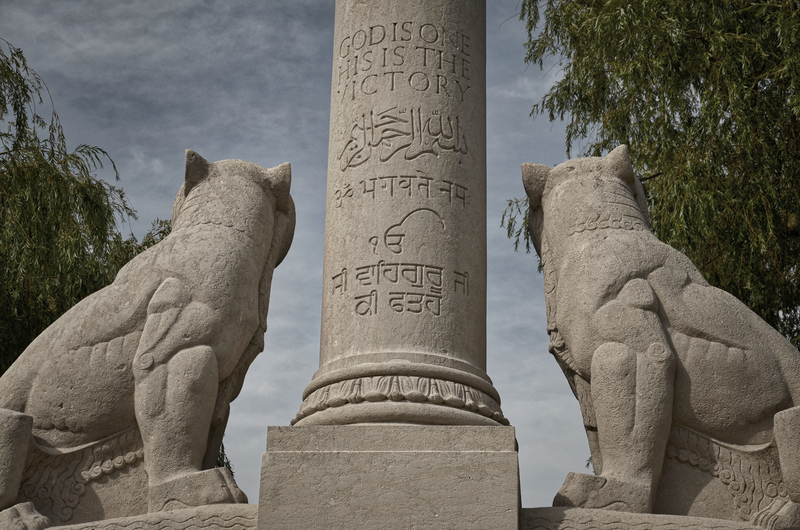 The Indian Corps Memorial at Neuve-Chapelle is located at the heart of India’s sacrificial ground on the Western Front. The nearby village of Neuve-Chapelle saw some of the earliest fighting involving Indian troops in October 1914 and was the scene of the Indian Corps attacks in March and September of 1915. The memorial was unveiled in October 1927 and aside from many Indian veterans who were present, Rudyard Kipling – the author who had done much to inspire popular interest in India amongst the British people – was also present. 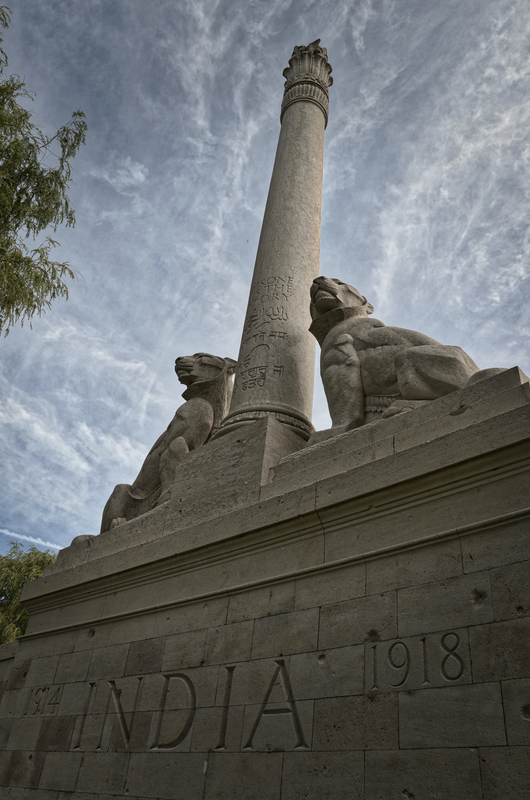 The memorial was designed by Sir Herbert Baker, one of the chief architects of the Imperial War Graves Commission. The memorial commemorates more than 4,700 Indian Army soldiers who fell on the Western Front who have no known grave, many of who were cremated on the battlefield by their comrades, just as their religious beliefs dictated. Thanks. The photos sound interesting. Have you published them anywhere?